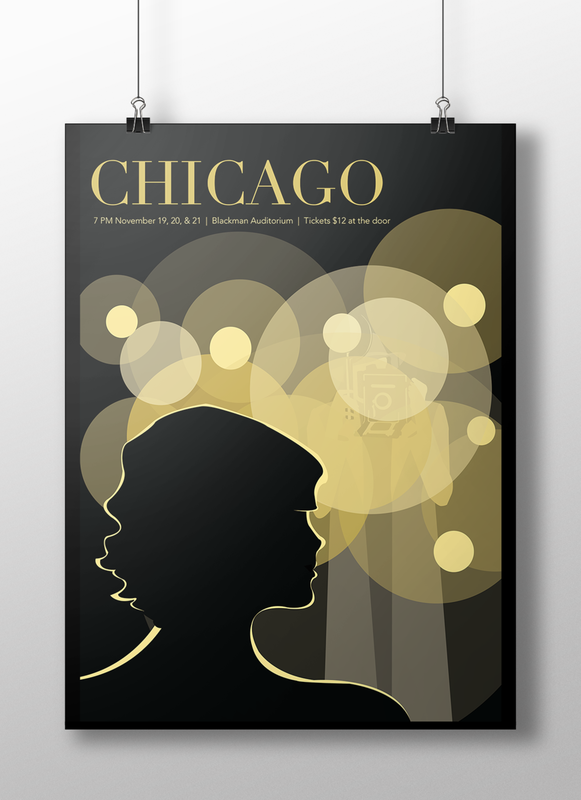 When visualizing imagery for Chicago, I struggled to break away from popular images tied to the various iterations of the play, or its famous film. My early concept sketches depict everything from 1920s culture to the Chicago skyline. By focusing on the idea of fame and paparazzi, I asked viewers to imagine themselves in the protagonist's role. The transition from pen and paper to Illustrator allowed me to play with color, composition, and concept. In later revisions, I chose to include main character Roxie. While my blue draft mimicked the magnesium flashes of early twentieth century flashes, I returned to a gold silhouette for my final piece. As an exercise in typography, I formatted the movie script of Chicago into a book format. 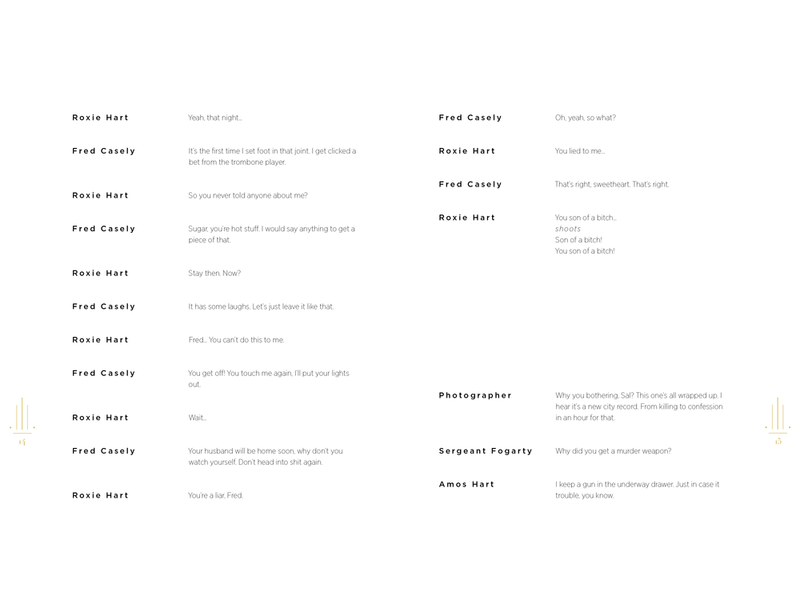 The project allowed me to explore several typefaces and their individual nuances, as well as create structured grid systems and visual hierarchy along the page.